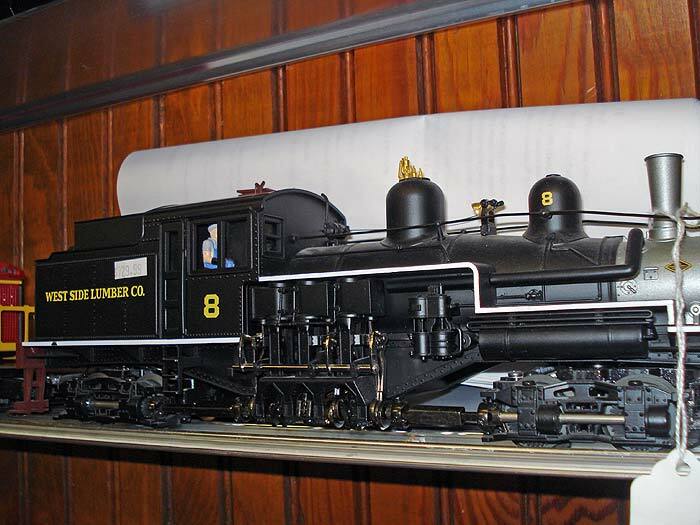 Franks train shop is an authorized Lionel and MTH Service Center. 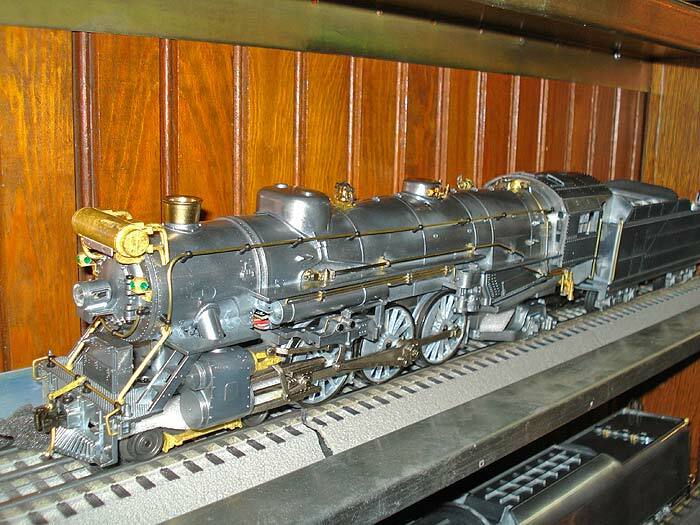 We specialize in pre and postwar Lionel and Marx, Most engine repair, service and maintenance start at only $30 plus shipping. We service clients worldwide!! Click here to visit our partners! 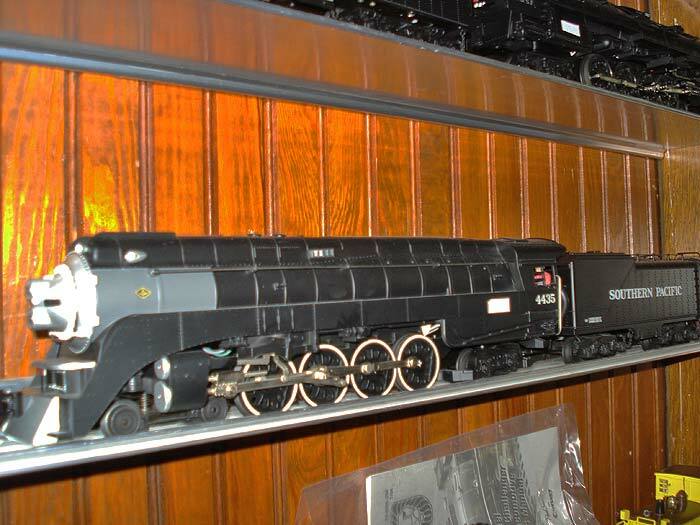 K3499-0008CC - K-Line / Lionel Westside Lumber Shay Locomotive #8 Trainmaster Command Control, test time only. 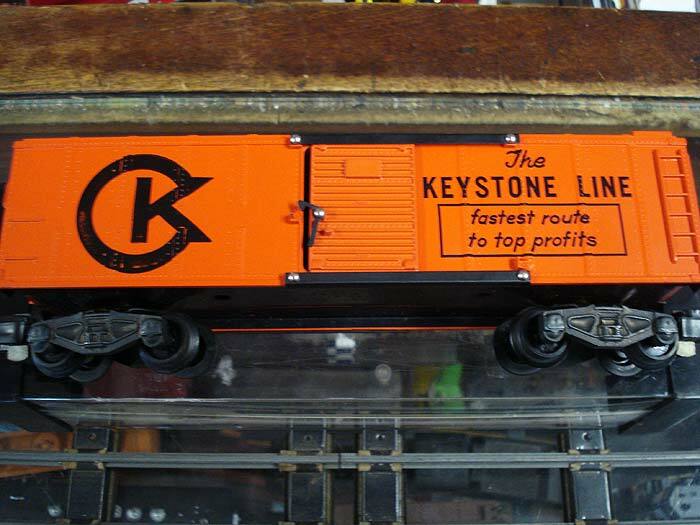 Less than 100 made for Western Depot Train Store. Sold for up to $2999.00. Now only $1899.99! 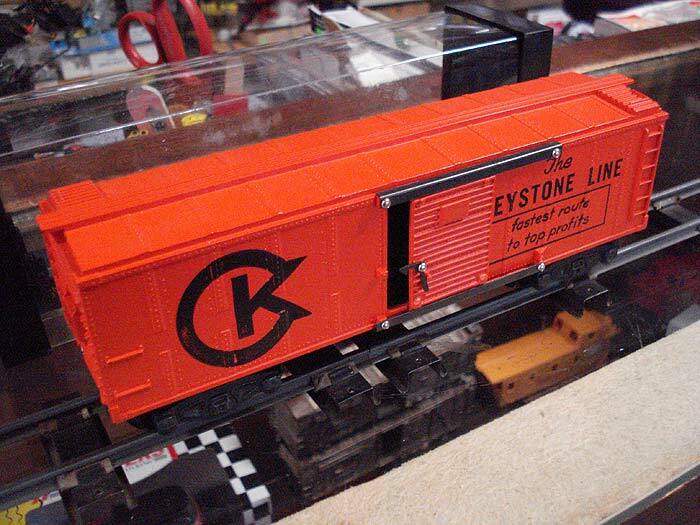 American Flyer # 24067 Keystone Boxcar. 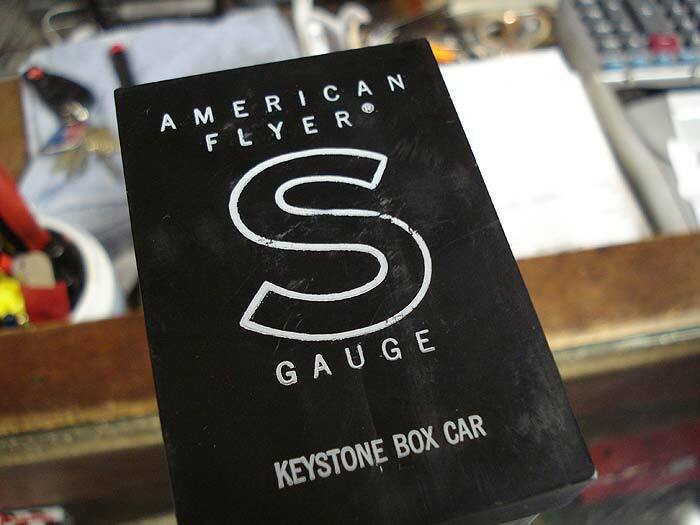 One of the rarest boxcars EVER made by American Flyer. A true investment quality item sure to appreciate. Issued in 1960, and wrapped since 1962, the color is NEW!!! Comes with original box. Missing brake wheel and one door nub. You will not be disappointed !!! Less than 50 produced. I have seen one original in 40 years!!! 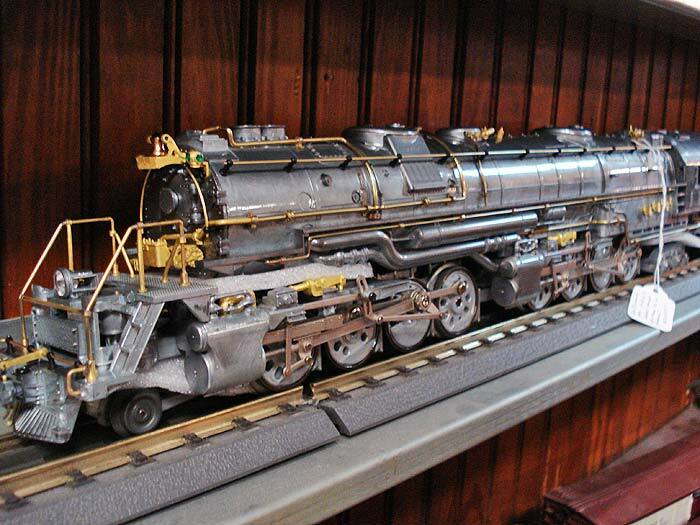 New for 2013, less than 70made, one of the rarest Lionel Locomotives. Undecorated, unpainted,brass details, clear finish. All the latest Legacy controls including Whistle Steam effect...Amazing. Instant Collectable. Selling up to $2999.00. New only $1999.99! 30-1465-1 MTH 4-8-4 Northern Steam Locomotive. Get your train running like it was when it was new!!! !